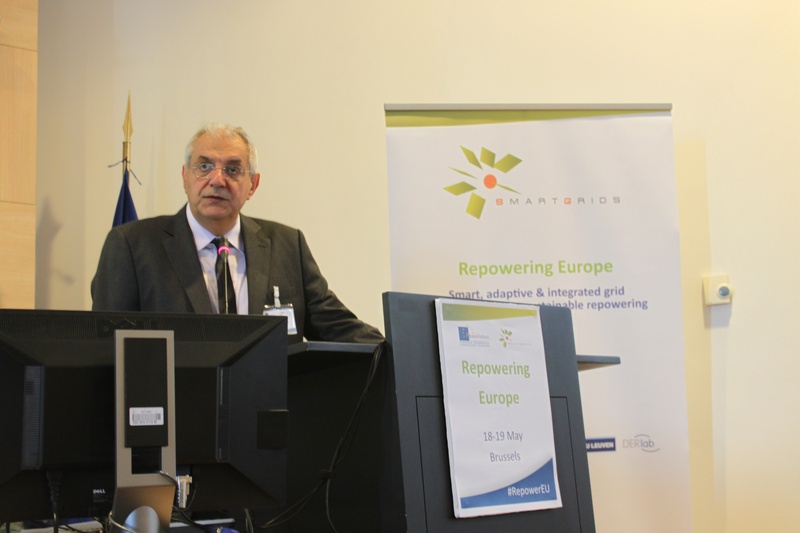 Today, the process to announce the future European Technology and Innovation Platform (ETIP) to substitute the current ETP Smart Grids and EEGI kicked off. ETIPWind will strengthen the collaboration to form the energy system of the future and invites stakeholders to the workshop on 3 June 2016. At the launch, DG Energy’s representative Mr Remy Denos restated the European Commission’s expectations for the new ETIPs. ETIPs shall unite the sector. ETIPs allows various stakeholders to work closely together to develop a common language and define the research and innovation (R&I) priorities for the future. ETIPs shall act as a one-stop shop. In addition to bringing parties together, ETIPs shall provide a forum with up-to date information for academic, industrial and political stakeholders. Panellists across the board called for flexibility and R&I demonstration projects in the smart grid system of the future. Most research in smart grid technologies shows promising theoretical results. The time has come to focus on demonstrating under real-life conditions to move research closer to market. It remains to be seen whether the most sensible solution is an extended cobber grid, smarter logistics in the distribution system, storage of energy or consumer empowerment. Most probably, a combination of different variables will happen. The future ETIP that is to cover SmartGrids and its integration within the wider energy system and ETIPWind pursue similar goals because developing the grid system helps unleash the full potential of renewables. The ETIPs will strive to collaborate and seek synergies. The next opportunity is the ETIPWind workshop on 3 June 2016, which also focuses on R&I for grids. 3 June Workshop Programme. Our pace and capacity to innovate will determine how quickly we accomplish the energy transition, one of the greatest challenges of our time. Europe can be led or lead. We believe in the latter and invite you to explore the ETIPs to lead.